HOW I AFFORD TO TRAVEL THE WORLD (ONE COUNTRY AT A TIME). In 2018, I went on my fair share of trips around Europe - and a question I've got asked repeatedly is 'how do you have the money to travel so much?'. There are a lot of misconceptions about the cost of travelling, and sure if you're flying to Dubai, first class and in peak season you're going to be paying more than if you were to do a road trip through Spain in October. I earn a normal income (from my job and blog) and although at University I was horrible at saving and only managed to afford a trip to Budapest, over the last year I've found a couple of tips and tricks to make travelling more affordable and doable - and I am here to share them with you. If you earn 1000, pay 600 in rent and go out every weekend, you're probably not going to be able to afford to go away every other month. Make a budget to see how much money you could realistically put away for travelling every month, or if you know your plane ticket to Amsterdam is going to cost you £80, consider staying home for two Fridays if you know that you'd usually go out and spend that money. 2. Use price comparison sites. Whenever I book flights the first two places I look are Skyscanner and Google flights. Skyscanner because it scans all the different airlines and agency websites (and you can also set up price alerts). The great thing about Google flights is that it shows you a calendar with the prices to fly out on each day so you can see if there is a better time to go. 3. Take the road less travelled. Some of my favourite trips this year have been to places that aren't the first cities you think of when you're trying to pick a city break destination. Whilst Amsterdam, London and Paris are all beautiful and buzzing with things to do, they also tend to be a bit pricier. Whereas places like Bucharest in Romania and Krakow in Poland are both beautiful, packed with history and things to do and are both relatively inexpensive in terms of accommodation and eating out. For my birthday I decided to go to Bratislava partly because we thought it would be interesting to see if it was the same as the movie Eurotrip depicted it, and because the flight and 3 night hotel stay cost me a total of £150. 4. Try and monezite your hobby. I'm going to assume not everyone reading this is a blogger, and so trying to make money from your website won't be an option for everyone. That being said, if you have a social media platform (or a facebook account with friends) then affiliate marketing can also be a great side hustle. I have an affiliate partnership with Booking.com where every time someone books through my link (at no extra cost to them) I get 10% commission. Even if you're making bookings for yourself you can make some of your money back. 5. Ask for (short-term) help. If you're really struggling to save up for a trip that you have planned for the near future (i.e a friends destination wedding) then using a short term loan company such as CashLady* could be a good option for you, as long as you know you'll be able to repay in the future. Their daily interest rates are capped at 0.8%, their services are free and they are regulated by the Financial Conduct Authority so you know you're not being scammed and you are in good hands. How do you make travelling more affordable? What country is at the top of your bucketlist? Great points! I need to start looking into affiliate marketing. I just haven't got around to it yet! Great post! 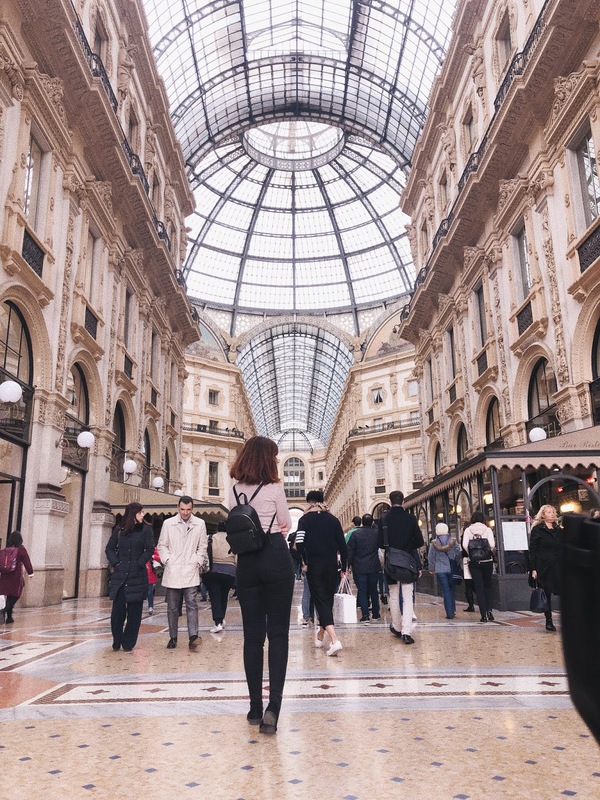 I have been visiting quite a few cities in Europe in recent years and that’s mainly down to shopping about there are some amazing deals out there. You just have to find them!